If you live in Pinecrest or were injured in any type of accident in Pinecrest, then you should consult with a Miami personal injury lawyer. Maybe you will decide against pursuing a claim – or maybe not. But common sense dictates that when you make that decision that you do so from an informed position. So, call the Pinecrest accident lawyers at the Wolfson Law Firm in Miami and get the answers to your questions. We offer consultations for free and there is no obligation whatsoever. Just call us at (305) 285-1115 and let’s discuss your accident and injury so that you can make an informed decision about what you want, or need, to do. 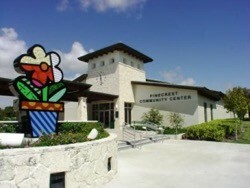 As of 2010, there were 6,619 households in Pinecrest out of which 6.4% were not in use. 15.1% of all Pinecrest households were made up of individuals and 4.9% had someone living alone who was 65 years of age or older. In 2000, 70% were married living together, 47.6% had children under the age of 18 living with them, 8.7% had a female householder with no husband present and 19% were non-families. The average household size in Pinecrest of Miami was 3.04 and the average family size was 3.39. As of 2000 in Pinecrest, speakers of English as a first language accounted for 58.09%, while Spanish made up 35.08%, French and Portuguese were tied at 1.91%, Arabic at 0.89%, Chinese speakers were at 1.67% and German as a mother tongue consisted of 0.46% of the population. If you lost a family member in any form of accident, the Pinecrest wrongful death lawyers at the Wolfson Law Firm can assist you. Our Pinecrest accident attorneys are ready to represent you for your injury and damages due of the negligent or intentional behavior or actions of another person or corporation. Just call us at (305) 285-1115 today for your free consultation. Our Miami personal injury lawyers serve the folks of Pinecrest and the surrounding communities of Kendale Lakes, Homestead, The Hammocks, Palmetto Bay, South Miami, Cutler Ridge, Westchester, Cutler Bay, Florida City, The Crossings, Princeton, Calusa Country Club, Kendall, Dadeland, Sunset, Coral Gables and Richmond Heights.